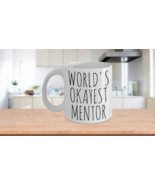 itsagift's booth, featuring 2402 items, including Dog Mom Crazy Dog Lady Mug Cute Funny Unique Gift Idea For Rescue Breed Her Chri, Dog Mom Crazy Dog Lady Mug Cute Funny Unique Gift Idea For Rescue Breed Her, Best Sponsor Ever Mug Gift Christmas Holiday Birthday Thank You Appreciation Min, Okayest Crossfitter Mug Worlds Okay Funny Joke Gag Gift Most Okest Ceramic Cup, YNWA Mug You Never Walk Alone Liverpool Brush Speckle FC Decal 11 oz, Best Busha Ever Mug Gift Polish Grandmother Christmas Birthday Mothers Day From, Worlds Okayest Photographer Mug Funny Most Okay Okest Animal Pet Portrait Nature, Worlds Okayest Seaman Mug Funny Most Okay Okest Sailor Navy Coast Guard Enlisted, Worlds Okayest Pilot Mug Funny Most Okay Ok Aviator Navigator Flyer Airplane Cup, Worlds Okayest Librarian Mug Funny Most Okay Okest Library Joke Gag Gift Idea Wo, World's Okayest Hipster Mug Funny Most Okay Okest Minimalist Design Joke Gag Gif, Fart Mug Farting Quote Mug Funny Fart Coffee Mug Give a Sht Work Office Cup Gift, Worlds Okayest Hockey Player Mug Funny Most Okay Ok Ice Field Minimalist Design, Worlds Okayest Mentor Mug Funny Most Okay Okest Coach Tutor Counselor Adviser Gu, Okayest Republican Mug Worlds Funny Most Okay Okest Minimalist Design Joke Gag G, My Favorite People Call Me Mima Mug , Worlds Okayest Father In Law Coffee Mug Funny Most Okay Okest Dad Minimalist, Worlds Okayest Hiker Mug, Worlds Okayest Sergeant Major Mug Funny Most Okay Okest Army Marine Enlisted Ran, Kentuckys Okayest Dad Mug Funny Most Okay Okest Father Papa Minimalist Design Jo, Worlds Okayest Mother In Law Coffee Mug, Worlds Okayest Chauffeur Mug Gifts Funny Most Okay Okest For Dad Chauffer Birthd, Babcia Mug, Worlds Okayest Truck Driver Mug Funny Most Okay Okest Transporter Trucker Tracto. 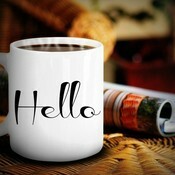 A notification has been sent to itsagift about your wish to chat with them. If they are available, they should be around within 5-10 minutes. 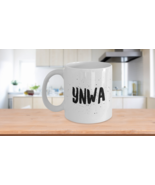 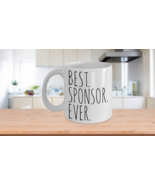 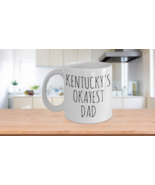 Showing 1837 products in "Mugs"